Suitcases mean holidays. Holidays mean photographs. 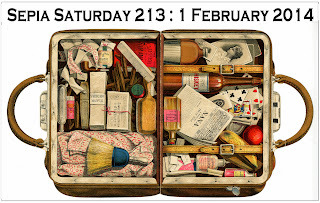 Ergo, suitcases mean a good crop of sepia goodies. 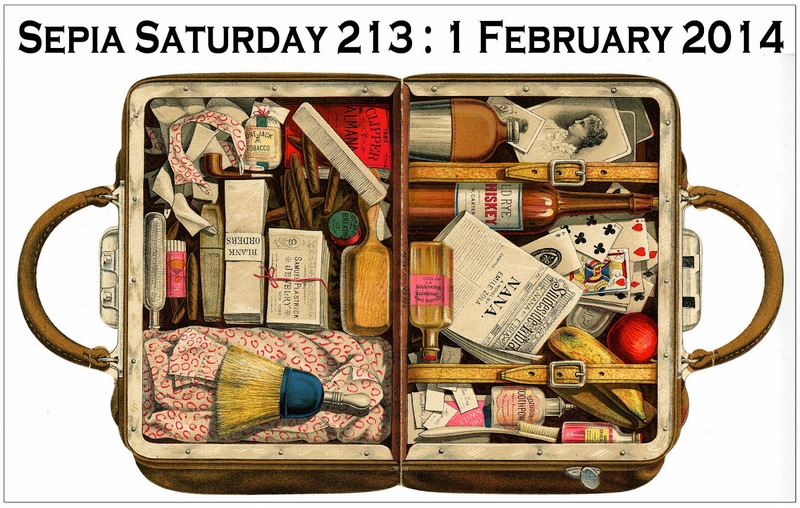 Out theme image for Sepia Saturday 213 - post your posts on or around Saturday 1st February 2014 - features an open suitcase. You can either go with the suitcase or you can ferret around inside it and find all sorts of possibilities. 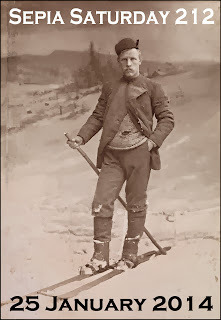 The actual image comes from an old advert for the Pacific Trunk Company which features in the Flickr Commons stream of the California Historical Society. 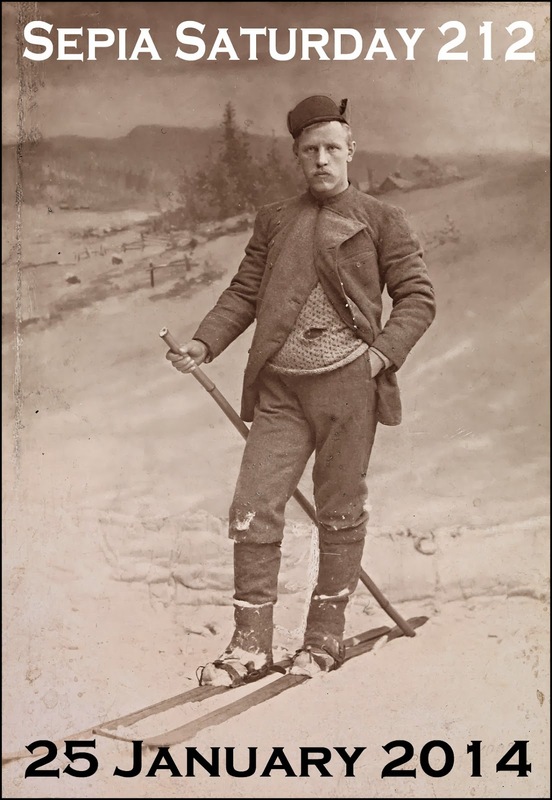 For those new to Sepia Saturday what we are looking for is an old image (it doesn't have to be sepia) and a few words of description or explanation. 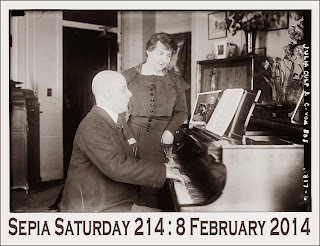 Post your post and link back to the Sepia Saturday Blog and after it has been published try and visit as many other sepia participants as you can. You would have a problem fitting a piano or a tramcar into a suitcase, but if you are lucky enough to own a suitcase from the Pacific Trunk Co, it would appear that you can fit most other things in. Whatever you decide to pack, add a link to your post to the Linky List below. 2014 is, of course, the centenary of the start of that conflict known as The Great War or the First World War. Although the age of photography captured previous major conflicts, the Great War stands out for both its devastating scale and the fact that by 1914 photography was in the hands of the people rather than the experts. So many of us have photographs of family members who were caught up in the conflict, poignant reminders of the scale of loss and sacrifice. Our theme image this week features the face of Private Morton Neill of 9 Battalion, King's Liverpool Regiment, who was reported missing, aged 19, on 30 July 1916 during the Battle of the Somme. 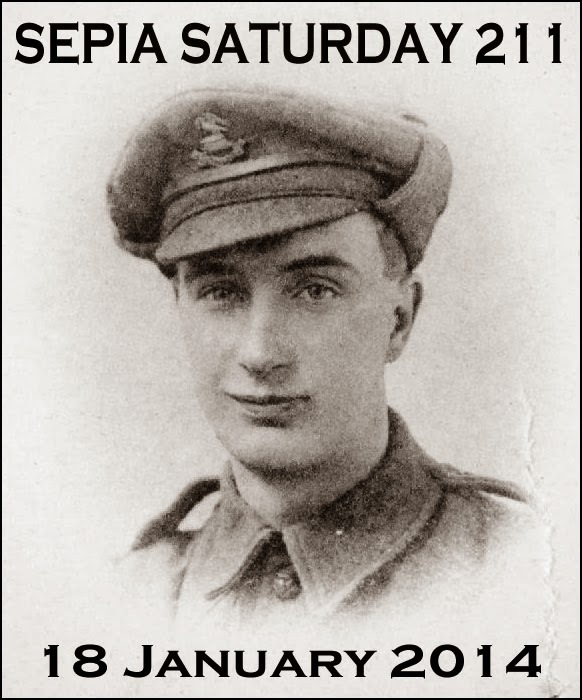 He was just an ordinary soldier, commemorated now in the Faces Project of the Imperial War Museum which is available on Flickr Commons. Thus Sepia Saturday 211 provides us with a chance to remember loss in any of its manifestations. Just post your post on or around Saturday 18 January 2014 and then link your post to the list below. But snow, travel and music are all things for the future, things to look forward to when peace and sanity returns to the world. For Sepia Saturday 211 our theme is of a more sombre nature. I have a feeling it was Marilyn who suggested this as a theme : whoever it was, it is a great sepia theme because it incorporates books and old photographs. Many of us will have experienced the joy of discovering a precious old photograph tucked away within the pages of a dusty old volume. Now is your opportunity to share such discoveries, or, if you prefer, share your photographic discoveries whether they were found in a bound volume of Shakespeare or in an old shoebox. 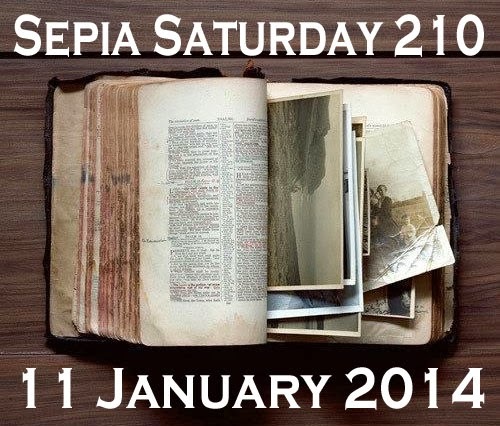 You know what to do, simply post a post on or around Saturday 11 January incorporating an old photograph, link it to the list below, and then flip through the sepia pages to view other people's discoveries. 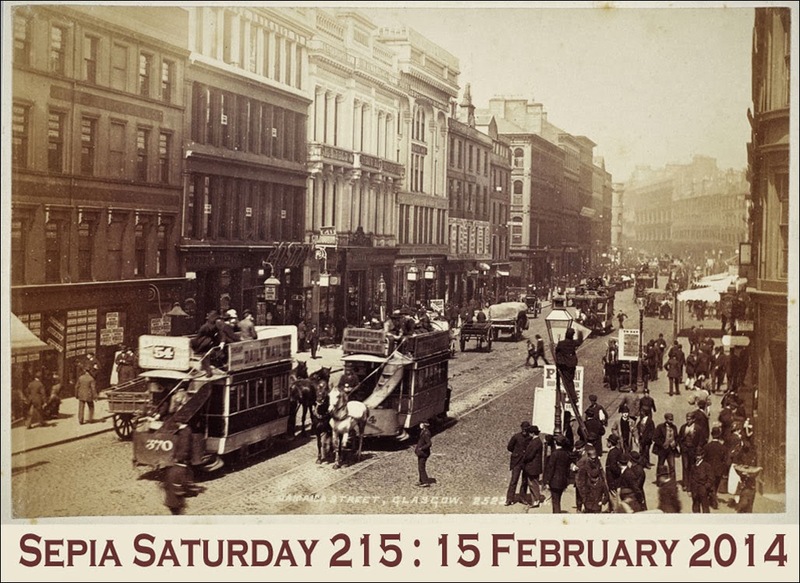 I seem to be doing quite a good job in terms of getting ahead of myself this year, so here for your edification are the next THREE Sepia Saturday theme images. Those are for the future. For Sepia Saturday 210, start searching through your books, your boxes and your cupboards for some photographic discoveries.